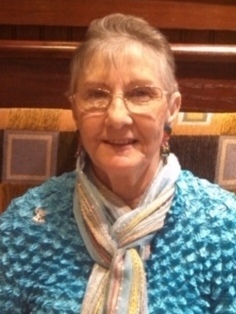 Juanita S. Kannard, age 79, of Cicero passed away Wednesday, November 14, 2018 in her home. Juanita was born May 3, 1939 in Marion, Indiana the daughter of the late Thomas and Juanita (Bowser) Parsons. She married Milton Kannard and he preceded her in death on February 3, 2002. Juanita was a secretary for Marion Community Schools and had also worked at Brandt’s Jewelers. She attended the Cicero Christian Church and was a former member of First Baptist Church in Marion. She was also a member of the Red Hat Society, American Business Women and Job’s Daughters. She is survived by a son, Kirk (Jennifer Calamari) Kannard of Cicero; sister, Jean Huffman of Marion; 2 grandchildren, Lauren and Logan Kannard; and three great-grandchildren, Xannah, Jocelyn and Xavier. Juanita was also preceded in death by a son, Patrick Andrew Kannard and a brother, Bud Parsons. Friends and family may call from 10:00 a.m. until noon on Monday, November 19, 2018 at Raven-Choate Funeral Home, 1202 W. Kem Road, Marion, Indiana. Funeral Services will follow at noon. Burial will be in Estates of Serenity Cemetery, Marion, Indiana immediately following funeral services.